Pamela Adlon's 'Better Things' to make a return on FX with its fourth Season. Following the premiere of the third season of Pamela Adlon’s 'Better Things' nearly a month ago, FX recently made an announcement that the show will be making its return on the TV channel with a new season next year. 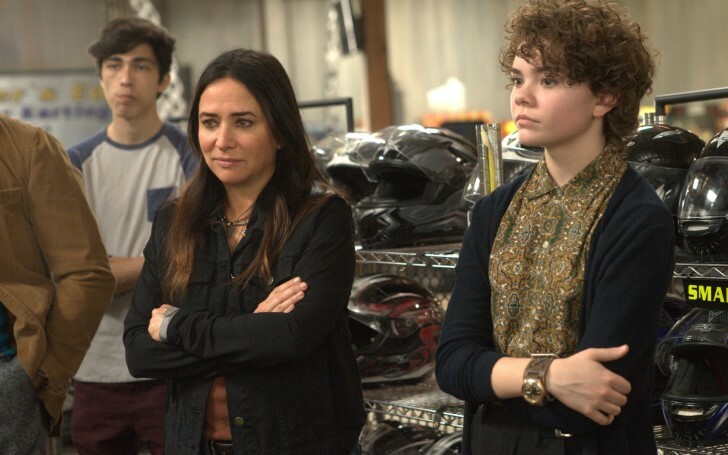 FX Studios and FX Networks chairman John Landgraf released a statement saying: "With every season, Better Things becomes more vital, engaging and revelatory, cementing Pamela Adlon’s status as one of the most accomplished creative forces in television today." Pamela Adlon on the set of Better Things. Landgraf continued: "Rarely has there been a show that is so personal and, at the same time, so thoroughly universal in the way it explores modern parenting, family and life. We are thrilled to extend the series for a fourth season and to continue this incredible partnership with Pamela, her creative team and the amazing cast of Better Things." Adlon who stars in the series in the lead role who also serves as its executive producer and showrunner will again direct all new twelve episodes of the new season, as she did for second season's ten episodes. The multitalented artist also said in a statement stating she was humbled, grateful and excited to start working on the new series. Better Things manifests a storyline of a divorced working as an actor mother, Sam Fox (Adlon) raising her daughters, Max (Mikey Madison), Frankie (Hannah Alligood) and Duke (Olivia Edward) in Los Angeles. Sam also works as a mom, dad, cops, referee and even looks after her mother, Phil (Celia Imrie), an English expatriate who lives nearby by her home. The story also narrates the moral of the series on Sam being a struggling flawed mother who dares on taking challenges with love, humor, and honesty for her kids and mother despite the hard circumstances life brings at her. After all, at the end of the day, she is just trying to navigate her daughters’ changing lives, and enjoy. For her respective role as 'Sam' in the series, Pamela earned several Awards nominations including an Emmy Award for Outstanding Lead Actress in a Comedy Series, and Golden Globe Award for Best Performance by an Actress in a Television Series – Musical or Comedy in season two. FX currently airs the third season of Better Things on Thursday nights at 7 pm.